The main aim of physical security is to convince potential attackers that the cost of attacking your property exceeds the value of making the attack in the first place. Lockrite’s police approved Security Shutters are perfect for securing your home and business premises. Are you interested in our security shutters? With a wide variety of security solutions, we make it our business to protect your business. Whether you’re in the public or business sector, we know that no two requirements are the same. We’ve installed a range of security shutters in businesses and local schools and one of the main concerns was they didn’t want the shutters to look unwelcoming when in use. We were able to closely match the colour of the shutters to the business/school’s colour scheme, which resulting in a professional security solution. 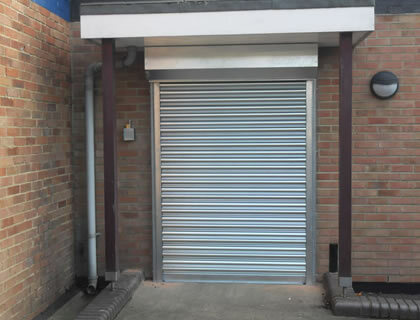 If you need to protect your retail premises then a security shutter is one of the best ways to do this. Not only will it deter opportunist thieves and vandals but it gives you peace of mind that your premises are secure and safe when you’re not around. If your products need to be visible to potential customers when your business is closed then Lockrite can supply and fit a range of shutters that offer a high level of protection whilst still allowing passers by to see what your shop has to offer. With a wide range of RAL and BS colours to choose from we can closely match your security shutter to your corporate colour scheme / branding.